EDGE is a prescribed digital therapeutic for monitoring COPD at home. Chronic disease affects the lives of millions of people as well as accounting for around 70% of NHS costs (NICE, 2014). 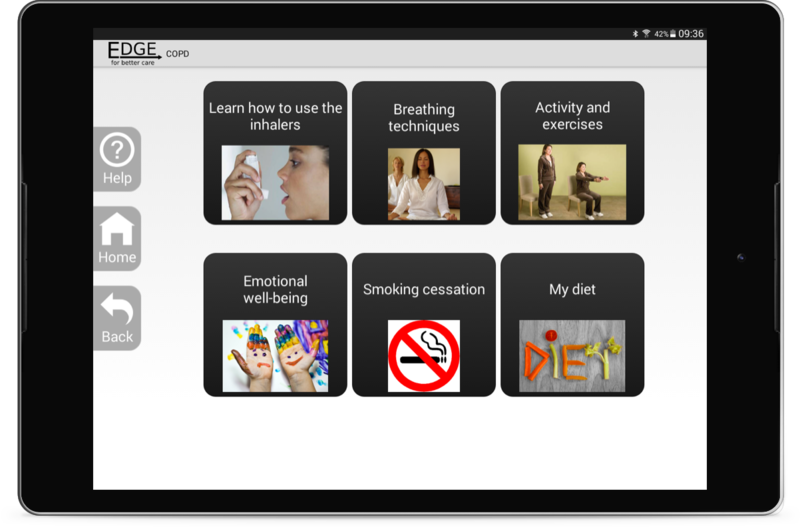 EDGE is a prescribed digital therapeutic for monitoring chronic obstructive pulmonary disease (COPD) at home that was developed by the University of Oxford (the Institute of Biomedical Engineering and the Department of Primary Healthcare Sciences), with support from the Department of Health and the Wellcome Trust through the Health Innovation Challenge Fund. EDGE has also been shown to improve the overall health status of patients and reduce the number of visits to see the GP. EDGE uses state-of-the-art, multi-purpose Android tablet technology, with Bluetooth-enabled sensors. This can improve a patient’s quality of life by supporting them to live independently. EDGE makes it easy for patients to self-manage their condition by giving them feedback on their physical well-being (through the use of graphs of their vital signs and symptom diary). It also gives patients motivational and psychological support. 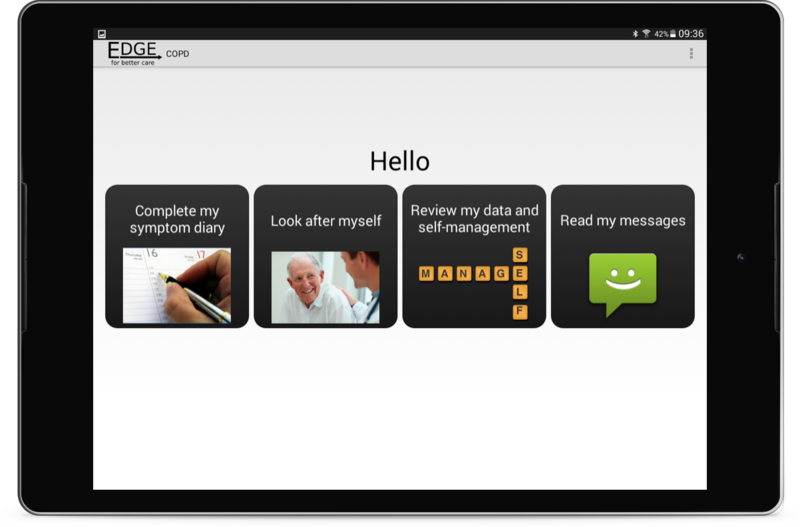 EDGE allows proactive patient-to-clinician communication using an adaptive, electronic symptom diary. EDGE uses intelligent algorithms to improve patient compliance and medical adherence. Self-management, combined with remote monitoring, gives patients greater control of their condition and reduces the number of hospital visits. Self-management and remote feedback to patients from respiratory nurses improves overall patient health status. It also helps to deliver care and assurance to people who live in remote areas. Health professionals can view a patient’s individual data in real-time and provide personalised feedback and content to the patient’s tablet. Clinically-validated modules and intelligent algorithms enable early detection of deterioration and allow the integration of the digital health platform within the care pathways for COPD patients. Patient data is securely stored in a server behind NHS firewalls where the clinical team can review the patient’s readings and provide feedback. Electronic capture of data reduces the number of phone calls or visits a respiratory nurse needs to make, thereby improving their time efficiency.